All the lastest OnePlus phones like OnePlus 6T, OnePlus 6, OnePlus 5 and OnePlus 5T run OxygenOS 9 software based on Android 9 Pie. A couple of months ago, OnePlus announced to upgrade the OnePlus 3 and OnePlus 3T to Android 9 Pie directly from Android Nougat. The company had said that the OnePlus 3 and OnePlus 3T would skip Android Oreo and directly jump to Pie software. It looks like OnePlus will live up to its promise very soon. 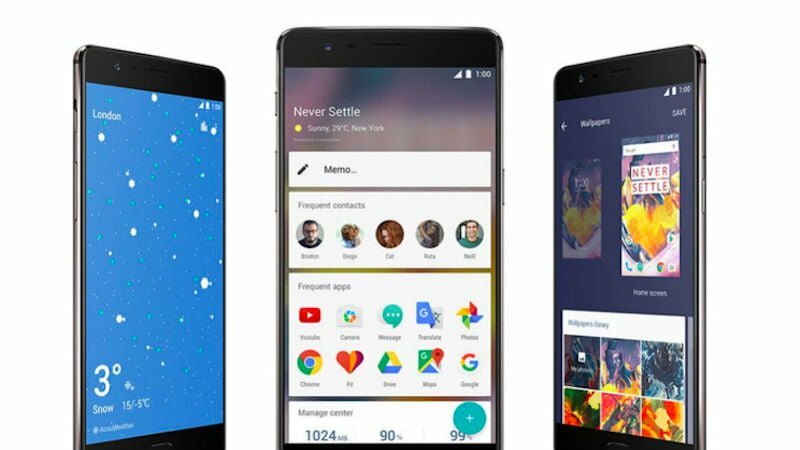 Around nine months ago, OnePlus first announced old phones like OnePlus 3 and OnePlus 3T would get Android 9 Pie update very soon. Looks like, it is happening now as OnePlus has announced the closed beta programme for OnePlus 3 and OnePlus 3T users in other regions. Considering OnePlus is the leading premium smartphone brand in India right now India will definitely be included in the list of regions that will see OnePlus 3 and 3T get Android 9 Pie. How to Apply for the Closed Beta Test? A few months ago, OnePlus announced HydrogenOS beta based on Android 9 Pie for the Chinese models of OnePlus 3 and OnePlus 3T. Some media reports suggest that Android 9 Pie based on OxygenOS 9 will first come to OnePlus 3 and OnePlus 3T units in China and it will be later followed by other regions, possibly including India. For all the OnePlus 3 and OnePlus 3T who are interested to sign up for the beta test will need to follow some simple steps. The user will need to sign up for the closed beta programme first to be eligible to test the OxygenOS 9 build on OnePlus 3 and OnePlus 3T. The interested users must sign up to the programme before 2 PM (GMT) on March 23. The testers will have to flash new builds the moderators on the OnePlus forums notes, and since it is a closed beta programme, the users must not expect the software to be smoother. The software will come with lots of bugs that are expected to get resolved in the stable build. The OnePlus forum page also mentions that the user may be required to completely wipe the device at multiple times during the test period. So, if you want to sign up for the beta testing programme do so at your own risk. As of now, OnePlus wants the beta testers to test the Oxygen OS 9 update based on Android 9 Pie on OnePlus 3 or OnePlus 3T thoroughly. It is only after the software is tested that OnePlus will roll out the Android 9 Pie update to all OnePlus 3 and OnePlus 3T users globally. The company is yet to reveal the exact software rollout timeline for the OnePlus 3 and 3T. Thanks Arnab for highlighting, it was an error from our end. You highlighted it in a very good way and such comments will be approved at any cost. We’ll try to fix the errors you pointed out. Feedback is appreciated and we’ll consider this. Thanks!